So we’re starting a new series called “The Genius of Three.” Let me start out by telling you what this series is not trying to do. There’s a movement that has always been a part of religion that thinks that there is a numerical code hidden in the pages of the Bible, forming the foundation of hidden messages and meanings, waiting to be unlocked by the few who become aware of the code and knowledgeable in its secrets. Dan Brown’s novel, The DaVinci Code, is an example of this kind of thinking, but it’s been around since at least the middle ages. Now, it’s true that the Bible uses numbers to point toward deeper truth. Thus 7 is seen as the divine number, and 6 represents sin, since it falls short of 7. 10 is the number indicating completeness, and 12 the people of Israel. 40 is a period of testing and purging, whether it be the Israelites spending 40 years in the wilderness, Solomon’s 40-year reign, or the 40 days Jesus spent in the desert being tested by Satan. But they aren’t secret messages designed to be hidden and only deciphered by the chosen few. They may seem hidden from us but only because we are separated by 2,000 years and 5,000 miles from the culture of the Bible, but they weren’t secret to the people of the day. They understood. Much like we understand the significance of the new One World Trade Center being 1,776 feet tall. The purpose was not to hide meaning but to enrich it, to take something that is meaningless—the height of a building—and give it tremendous meaning and significance. 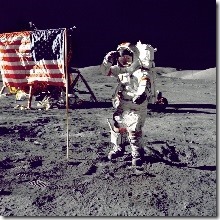 But there are some people who love to find conspiracies and secrets and can see them everywhere. I found a website that reveals the meaning of the numbers in the Bible, and it finds meanings in every number between 1 and 34, with the exception of 26. And I’m sorry, if you can find meaning in every number between 1 and 34 but not 26, you either accidentally skipped it or you just aren’t trying. But if every number has significance, none of them do, you know what I mean? 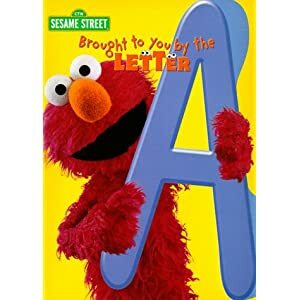 It’s like finding hidden significance in the letter “A.” “A” is the first letter in the alphabet, and the name of the first Man begins with “A.” The name of the first Patriarch, Abraham, begins with A. His son Isaac has two “a’s”, and his sons Jacob and Esau both have “a’s” in them. The name of Jesus’ mother has an “a” in it, as does the name of the first woman to see the resurrected Jesus. And when the women go to the tomb, who do they meet? An Angel! Really? 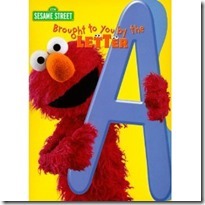 I mean, unless this is an episode of Sesame Street sponsored by the letter “A” it’s all kind of silly. 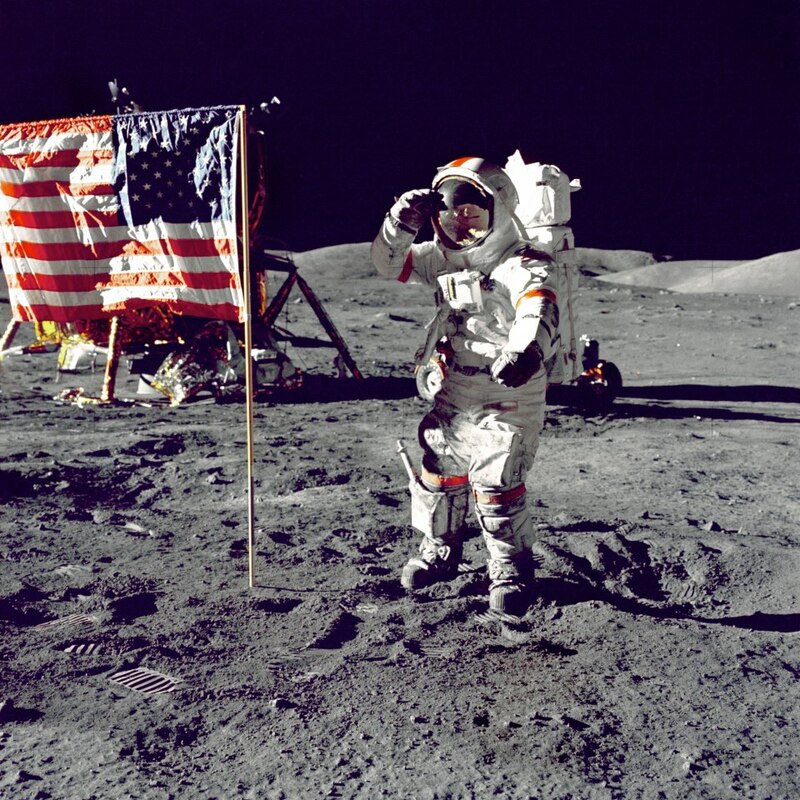 It’s like me saying, “I was born in 1959, and within 10 years we had put a man on the moon. So in this series I’m not going to propose that there is some hidden significance in the fact that we have 66 books in the Bible, 39 in the Old Testament and 27 in the New Testament, and all are divisible by three. But that’s not to say that “3” isn’t significant. “Two’s company, and three’s a crowd.” Or a community. The Trinity is a community of Oneness. It also takes three to form a pattern. If something happens twice, that can just be a coincidence, but the third time you’re starting to see a pattern developing, right? So we’ll see that there is a significance to Jesus asking Peter three times, “Simon, do you love me?” We’ll explore that Easter Sunday. And there’s a significance to Jesus being in the tomb for 3 days. We’ll explore that next week. And there is significance to the fact that Jesus was crucified along with two others, and that’s where we are today. So let’s read our Scripture, Luke 23:32-43. 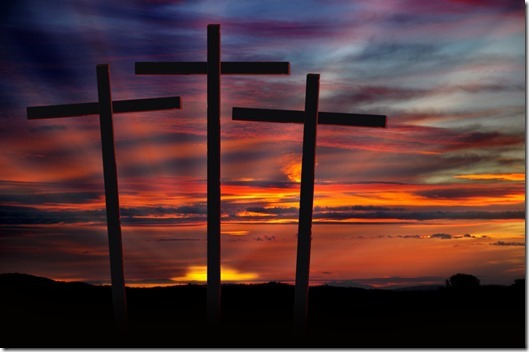 If we are going to understand the nature of these three crosses, we have to understand who these men are and what they have done to deserve crucifixion. Luke calls them criminals, using a very generic word, but both Matthew and Mark use a more specific word: bandits. But this is not the word that Matthew and Mark use—they use lestes, and “bandit” is not a bad way to translate it. These were armed bands of marauders who were intentionally brutal when they carry out their activities. The distinguishing markers are brutality and violence. While kleptes typically describes a stealthy person who deprives people of their property, lestes denotes a bandit who operates outdoors in the company of a gang. The bandit gangs attacked caravans, individual travelers, or settlements with weapons, and violently relieve them of their goods. But there’s more. There were those highwaymen who robbed for personal gain, and then there were those who marauded for political change, guerrilla warriors who directed their aggression against Roman authorities and/or the Jewish authorities and persons who collaborated with them. They were dedicated to the violent overthrow of the Roman authorities, and thus were not considered enemies by the general population of Palestine. Thus it wasn’t surprising for the people to clamor for the release of Barabbas, who was one of these guerilla fighters seen as heroes of the people. The fact that these bandits were crucified indicates that they were probably charged with being rebels, not mere thieves. So here their distinguishing characteristics: brutal violence, and political rebellion. Now, let’s be clear about something else: all three guys hanging on crosses that day were political rebels. There are some—many—who claim that Jesus didn’t care about Roman oppression, didn’t care about the politics of the day, he was only concerned about spiritual stuff like getting people into heaven, but I’m sorry, that just doesn’t fly. So let’s do my little pop quiz again—it’s been a while since we did it so maybe you’ve forgotten. It’s a one question pop quiz, and here’s the question: what is the one thing that Jesus talked about more than anything, way more than anything? Second place isn’t even close. What is it? The answer is the kingdom of God. That’s all Jesus really talked about. Even when he talked about sin and salvation and heaven, he always did so in the context of talking about the kingdom of God. Now, you can’t run around in a province of the kingdom of Caesar and talk about the kingdom of God and not be talking about something political. And before you say that a phrase such as kingdom of God is clearly spiritual you have to remember that Julius Caesar declared himself to be divine, and his nephew and adopted son Augustus continued the family tradition. In fact, one of the titles of Augustus was Son of God. So when the Roman soldier looked up at the dying Jesus and said, “Surely this was God’s son,” (Matt. 27:54 & Mark 15:39) it couldn’t be anything other than a political statement, and a seditious one at that. In this post, “What Does It Mean to Be a Peacemaker?” you can see other ways in which the gospels are making political statements. The point is that Jesus wasn’t ignoring Roman oppression; he was taking it on, but without the brutality of Rome or of the bandits. It’s the brutality and violence that separate these three men. So you have three crosses, and they represent to us three approaches to dealing with societal oppression. First there is the cross of rejection. The first criminal wants the promised Kingdom of God, the restoration of the kingdom promised to David, but he believes it can only be achieved through brutality and violence. In fact, let’s be really clear about what this guy believed. He and others like him really didn’t believe that the Israelites had enough power to win a fight with the Romans. In terms of the number of soldiers they could muster and the number of horses and chariots, swords and spears they could gather, they knew they would never have enough. And this is where they were not only political, but also theological: they believed they were right, and they were righteous, and that God was on their side. And the brutal violence that they would use on the Romans would be sanctioned by God, who would sweep in and produce a large victory against huge odds. Just like he did with little David against Goliath and the bloody slaughter of the Philistines that followed. And just like he did with Gideon when he sent him against an army of 135,000 Midianites with only 10,000 soldiers, but not before sending all but 300 of the 10,000 Israelite soldiers away, and those 300—plus God—slaughtered the army of 135,000 Midianites. There was story after story of God visiting brutal violence upon Israel’s enemies, and these bandits believed that he would surely do it now if Israel had enough faith and trust and obedience to the Law. And now, hanging on a Roman cross, he still clings to his belief in a brutally violent God, a strongman who will return the nation to its roots and purify it of the foreigners and their false gods and make it great again. The way of Jesus is not the way that the world works, and this rebel rejects it. This voice of rejection is still strong today, urging brutality against our enemies and their families and their false religions. And, strangely, sadly, many Christians are heeding these voices. They want Jesus to forgive them of their sins and make them right, but they don’t want to pick up the cross of Jesus. And so they choose the cross of rejection. The second cross is the cross of renunciation. The second rebel wants the kingdom of God as well, but he recognizes that his way and that of the other bandit doesn’t work, hasn’t worked, will never again work. 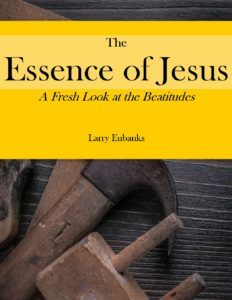 If God acted like that before, he has apparently chosen to go a different direction now, and the bandit recognizes that that new direction is embodied in Jesus. Listen closely to what he says. “We are getting what we deserve. We knew that this was a risk. We knew that this is what Rome does to those who attack Roman soldiers when they are alone, as well as Jewish collaborators. We knew that we might very well get what we ourselves were dishing out. “But this man hasn’t done what we’ve done. He hasn’t killed anyone, hasn’t called for the killing of anyone. Just the opposite. He’s called for the killing to end. When this rebel recognizes that Jesus’ way is innocent, he’s making a theological statement, but not the one we think he’s making. Most of us have probably always believed that he is speaking to the fact that Jesus led a perfectly sinless life, one of perfect obedience. But how would he know that? He didn’t know Jesus, hadn’t hung around with him since birth. He didn’t know anything of Jesus’ divine nature, his sharing in the Holy Trinity. No, when he says that Jesus is innocent, he is speaking of the Law, specifically of the Ten Commandments, particularly of the 1st and the 6th Commandments. You know the first commandment, right? “You shall have no other gods before me.” We all participate in Original Sin by wanting to claim for ourselves rights and responsibilities that only belong to God. First we want to decide for ourselves what is right and what is wrong. Then we take the next step to deciding who is right and who is wrong. Then we take the final, fateful step in deciding who deserves to live and who deserves to die. And soon the world is filled with violence, each person believing they were fighting a righteous cause. And that’s just the 1st Commandment. The sixth one makes it even clearer: thou shalt not kill. When you violate the 6th, it’s because you’ve already violated the 1st commandment. The second rebel saw that Jesus was innocent of violating both commandments. He let God be God, and he refused to kill. And so this bandit renounced his former way of life and embraced the life of Jesus—the one that the Law had been pointing to all along. And because of that, Jesus promised him he would see paradise. Finally, there is the cross of Jesus, which I’ve called the cross of relinquishment, for the only way to get on this cross was to renounce brutality and relinquish one’s will to the Father. That relinquishment began in the wilderness when Satan tempted Jesus with all the things that we become willing to kill to protect: great wealth, great power, vast kingdoms, the ability to control the food supply so that you can control the people. No king ever said no to these things, but Jesus did, and he did so repeatedly. And we see the relinquishment in the Garden of Gethsemane, when Jesus said, “Not my will be done, but yours.” How many times did he say it? Three. Look, make no mistake, Jesus sought to free people from the brutal oppression of the Roman Empire—and indeed all empires. But he knew he couldn’t do it with a sword and an army. He knew if he did it with brutality he’d just be perpetuating the violence that had already become the god of this world. Jesus was a rebel. He was seeking the overthrow of Rome, but without a sword. And he was willing to die for that. Are you? See, that’s the catch, isn’t it? We’d like to have the cross that forgives us of all of our sins and promises us righteousness on earth and eternity in heaven, but we don’t want to relinquish anything other than our sins and maybe what we do for a few hours on Sunday mornings. We want the forgiveness that the second rebel gets, without renouncing our right to bear arms with brutality. But that just puts you right back on the first cross, the cross of rejection. We want to accept the forgiveness of Christ while rejecting the relinquishment of Christ. I called this the story of three crosses, but we could actually call it the story of three rebels. One who sought to rebel against brutal powers by the same brutality, a God-sanctioned brutality. One who finally came to understand that this is where all such people end up, suffering at the hands of brutality but without the blessing and sanction of God. And so he sought a different way, a way truly sanctioned by God, a way no less radical or rebellious, but completely without brutality and violence. A way of radical love. And then there was the third rebel hanging on the third cross, the one truly innocent of all brutality, and yet suffering as those who weren’t. This is the rebel of that has God’s sanction. This is the one who points to life and to a kingdom of peace. Three crosses. We all get a cross, none of us avoid them. We all have to choose a cross.